At long last, 2014 is drawing to a close. But just before it could end, yet another Malaysia-run commercial airliner, AsiaAir Flight 8501, vanished while flying over Southeast Asia, joining the disappearance of Malaysia Airlines Flight 370, the shooting down of Malaysia Airlines Flight 117 over Ukraine, and hundreds killed in plane crashes in Taiwan and Mali in horrible aviation catastrophes throughout the year. But here's a question worth asking, amid all the tragedy: Has flying really been more dangerous in 2014? There have been several serious incidents — that goes without saying. And some smaller incidents have also garnered a fair share of news coverage this year. Say a plane gets grounded because a passenger attacked a flight attendant — which happened in February — or somebody shines a laser pointer into the cockpit, or a bird hits one of the engines (and this can be pretty serious; it's what brought down U.S. Airways Flight 1549 into the Hudson River in 2009). Or, of course, somebody's emotional support pig has some intestinal issues. But when you drill down deep into 2014's highest-profile, most disastrous aviation incidents, you get a pretty surprising answer: Fewer flights crashed in 2014 than have since 1927, but it was also the highest death toll since 2005. How can that be? As CNN reports, International Bureau of Aviation analyst Kane Ray did his best to explain. If you consider sheer numbers of aircraft crashes, flying today is safer. However, there are more aircraft in the sky, so naturally the overall number may appear similar to previous decades and, in some categories of disaster, higher. There's no doubt, however, that the worst of 2014's aerial incidents have proven highly deadly, in addition to shocking and heart-wrenching. The two Malaysian Airlines flights, MH370 and MH17, were the deadliest of 2014, resulting in the deaths of a combined 537 people. When you add in the disappearance of AsiaAir Flight 8501 — assuming the worst, that the plane crashed, and its 162 passengers and crew were killed — as well as the assortment of other, less-publicized incidents, you get a staggering figure — 1,320 airplane deaths in 2014. 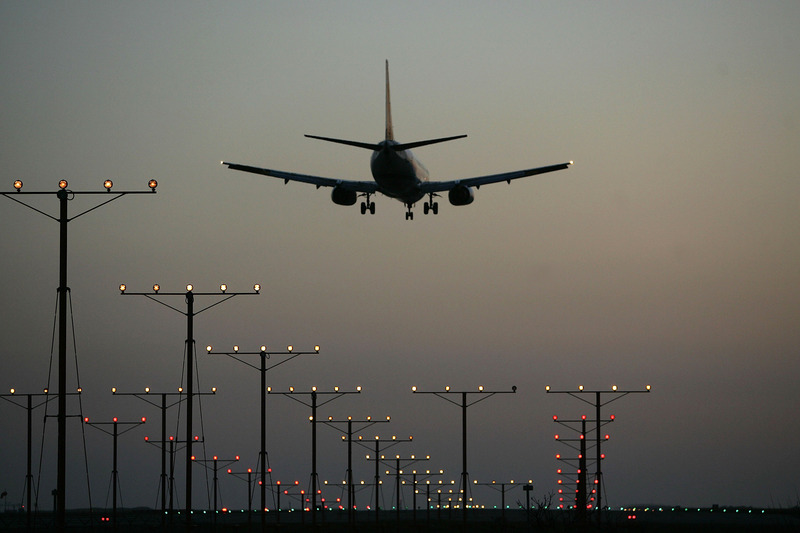 By comparison, only 265 fliers were killed in crashes in 2013, according to Aviation Safety Network. The sharp contrast of those two figures is slightly deceptive, as 2013 saw the lowest number of flight fatalities on record, but it's nonetheless a sharp turn in the wrong direction. In short, there aren't more general incidents happening in the air than usual — quite the contrary, in fact — but the ones that are happening have been far more catastrophic and deadly than what's been common for the last few years. The important takeaway, however, because I hate to leave you feeling panicked: Airline travel has become much safer over the last several decades, even if 2014 is a bloodier year than the ones that immediately preceded it. As the above graph from The New York Times illustrates — it's from July 17, before the crashes in Taiwan and Mali, and the ostensible crash of AsiaAir Flight 8501, so the number for 2014 is low — the new millennium has been a far safer time for commercial air travel than years past. The early 1970s, in particular, saw two years with over 2,000 deaths each, a rate of death for air travelers that dwarfs that of 2014, especially considering how many fewer flights were in the air in those days. Basically, in relative terms, you're still far safer hopping a plane than climbing behind the driver's wheel. I tend to think people instinctively sense otherwise, and I understand it. It can make you feel safer, somehow, to know you're controlling your own fate, rather than it being dependent on the actions of a flight crew, or a pilot, or airborne mechanical failures. But suffice to say, you shouldn't start sweating when your plane is leaving the tarmac, even after a year of harrowing stories that might make you want to.